Tanzania is situated in the Eastern part of Africa and is known for its vast wilderness and wildlife, and people visit to have a long look at the beauty all over the country. Tanzania is one of the best African countries for tourism because there are a lot of things to be seen, and people who go on these trips are often left amazed at the extraordinary beauty of the country. Touring a country can be quite tricky, especially when you have no idea how to relate in their language. Most African continents dwell on their mother tongue more than they do on English, so visiting these countries may be quite stressful because language communication will be a barrier. However, anyone who is opportune to meet with a tour guide who is well educated in the language that needs to be translated from and to, then you should count yourself lucky. In a country like Tanzania, there are so many places to visit when you are on tour, but few people know about this. They classify Tanzania under is; one of those African countries, but that is not true, as this country comes with a lot of perks. As earlier said, there are so many places to visit in Tanzania while you are on your, but there are some special places that will not only blow you away but will keep you glued to the country. The Tanzania Safari are one of the best tours in the country, and their services are not only entertaining but will leave you in awe of them. There are a lot of Tanzanian safaris in the country, whose fees range from $2500 to $5000 depending on your budget. Tanzania safaris can be booked anytime and any day in the year, as the service never goes on a break because people never stop touring the country. However, when you are placing a booking on Tanzania safaris, you must be specific about the areas you want to visit. Some people prefer to go mountain climbing as their way of touring Tanzanian, and the most popular form of climbing and trekking in Tanzania is done by climbing Kilimanjaro. This way, people get to experience the beauty of rainforests and see amazing animals that they can take pictures of. Although this may sound like it involves just visiting a park, and not seeing anything spectacular or unique, there is nothing simple or plain about the Serengeti National Park. This park is covered with Savannah grasslands, and people get to see the wonders of migration by different types of animals. Serengeti Park is also known as the oldest park in Tanzania. This is also known to many as the Garden of Eden, and it houses some of the wildest animals ever found in Africa. The beauty of this place makes Tanzania one of the most toured African countries in the world. 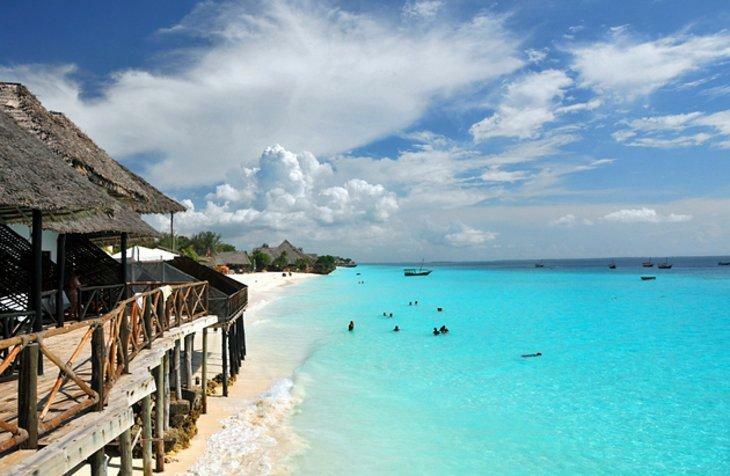 This tour place is also known as The Spice Islands, a beach area where scuba diving is the norm of the day.